Those McFarlane kids sure know how to bleed a licensing opportunity dry. 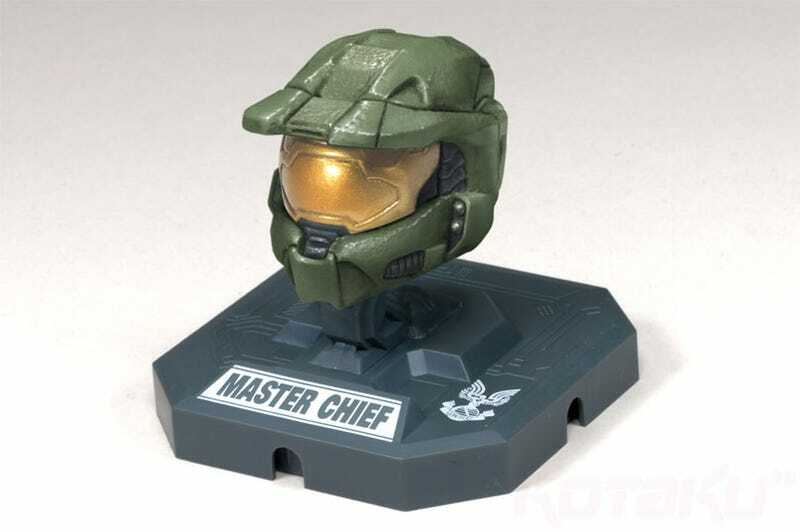 Seemingly out of ideas for new Halo 3 figures, they've announced a range of tiny Halo 3...helmets. Ostensibly for use with the company's range of 12" figures, it seems their main use will actually be just to stick on your desk, as each comes with a stand ("for flat surface or wall-mount display!") and each stand can click together to form an "impressive" MULTIDISPLAY. Can't wait for next Christmas, when they get down to the individual crotch plate displays.